The 2 firms were put on a restricted list after their names surfaced in a CBI probe into the Barak missile case. New Delhi: Israeli missile firms IAI and Rafael have been officially taken off the restricted list by the ministry of defence with the closure of the infamous Barak corruption cases, leaving the state owned companies free to transact in the Indian market. The two firms had been put on the restricted list after they were named in a CBI probe into the procurement of Barak anti-aircraft missiles in 2006. The CBI investigated charges of corruption against former defence minister George Fernandes and arms dealer Suresh Nanda but had closed the case in 2013 after failing to find evidence. Even though the closure report of the CBI had been accepted by a special court in January 2017, both IAI and Rafael continued to remain on the defence ministry’s restricted list due to bureaucratic procedure that does not allow an automatic reprieve. In an order issued Wednesday, the ministry said it had taken off all restrictions on both companies with the approval of defence minister Nirmala Sitharaman. “In the light of the acceptance of the closure report…..it had been decided to remove the restrictions and regulations…in dealing with procurement cases involving IAI, Israel and Rafael, Israel with immediate effect,” the ministry order said. Despite being on the restricted list, business dealings have been conducted with both the firms for fairly large projects. 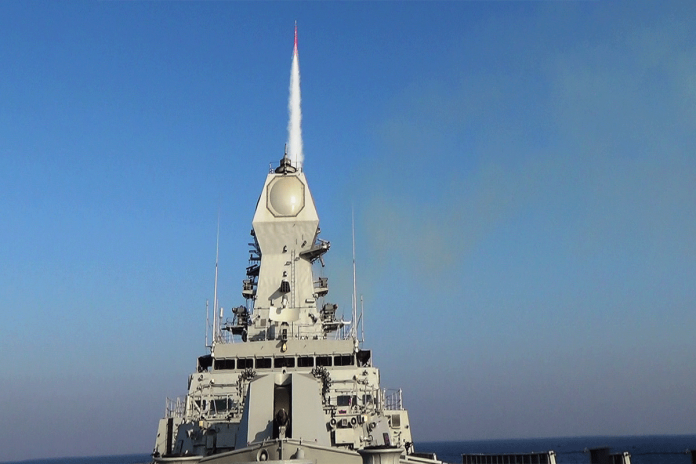 Rafael has been providing replacement missiles for the Barak air defence systems fitted on Indian warships. IAI had announced in April last year that it had bagged two major deals worth $2 billion with the Indian government, describing them as the largest orders received by the company. These deals were for a $1.6 billion contract to supply medium-range surface-to-air missiles to the Indian Army and a long-range surface-to air-missile system for the INS Vikrant aircraft carrier that is under construction in Kochi. However, all dealings with the firms had required special approvals from the government, causing significant delays. The special approvals included written justifications on why a contract would be awarded to the firms on grounds of operational urgency, strategic consideration and national security imperatives. Before a contract signing, the service arm concerned also had to justify that no other alternative was available to the product being offered by IAI and Rafael. The ministry’s orders therefore will come as a big relief to both firms that are in contention for several new contracts as well. “These instructions will be applicable to the ongoing and the future procurement cases involving these two Israeli firms,” the orders read. It may be recalled that Rafael had earlier this year lost out on a contract to supply Spike anti-tank guided missiles to the Indian Army even after it had been shortlisted and completed price negotiations. Fresh efforts to procure the anti-tank missiles are now on with the new order making it easier to proceed with the procurement proposal.